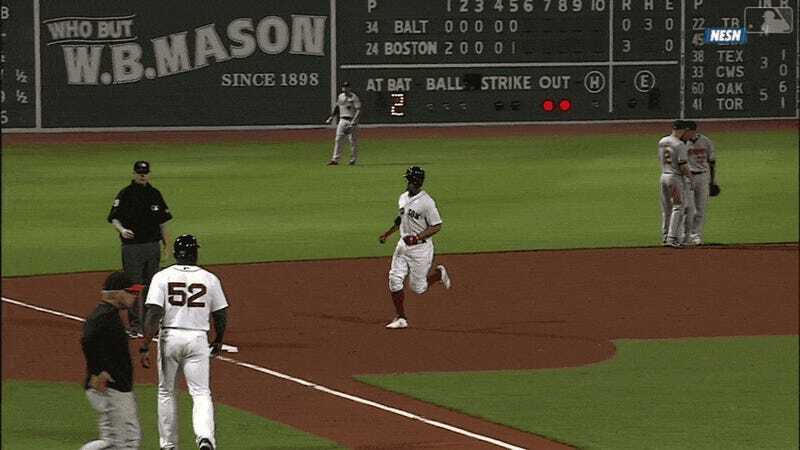 A three-run dinger from Xander Bogaerts gave his Red Sox a 6-0 lead and chased Orioles pitcher Kevin Gausman in the fifth inning of tonight’s game. While Gausman himself couldn’t have been thrilled with his mistake, O’s manager Buck Showalter appeared even more disgusted, as he couldn’t even restrain himself until after Bogaerts crossed home plate before arriving at the mound with the hook. Someone should tell Buck that pedestrians don’t always have the right of way.